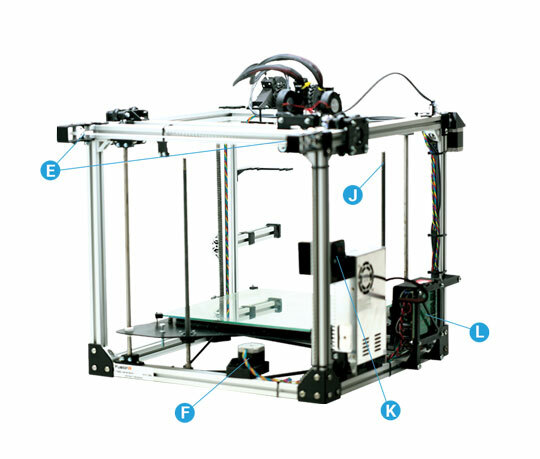 Want to know how 3D printers work and what’s going on inside of one. Here we dissect a Fusion3 F306 printer to give you an overview of the main parts found inside most 3D printers. 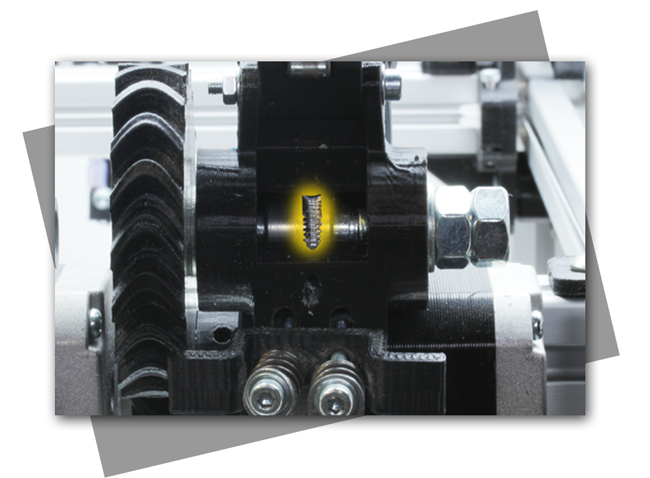 We don’t cover every single nut and bolt, just the important parts that are instrumental in printing. Click here for a printable version. This blows cool air over the extruded plastic to cure the print and help it retain its shape. Some materials and prints may not need to have the cooling fan running while printing. 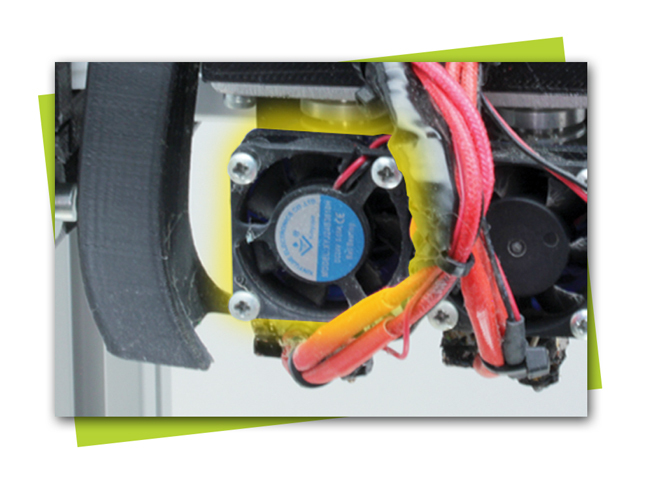 This fan blows air across the heat sink to prevent heat from creeping up the extruder barrel. 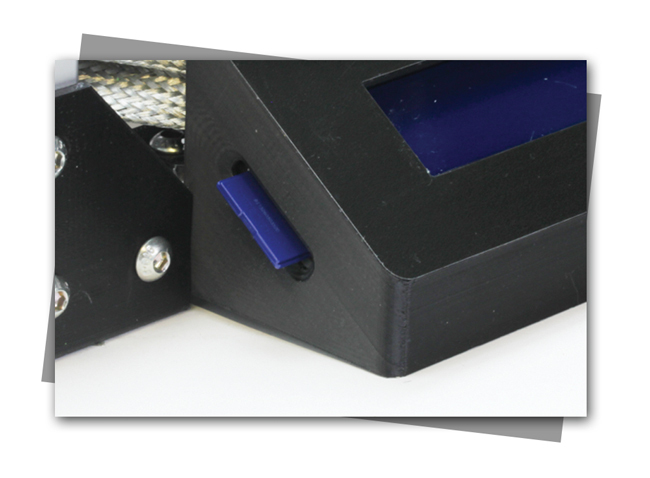 Heat creep can cause some filaments to swell and jam in the extruder barrel. 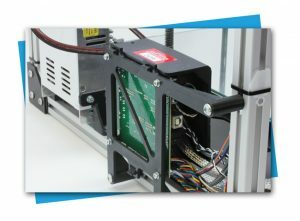 Most printers have an LCD display that alerts users of printer temperatures or other print-related data. 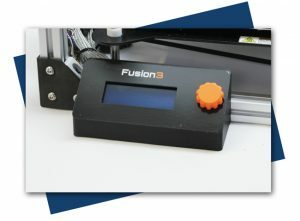 This interface can provide simple data or can take the place of needing to have your printer connected to a computer for printing. Many printers are equipped with an SD card slot that allows files to be directly loaded into the printer without the need to be connected to a computer. 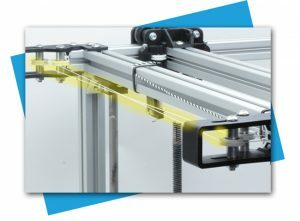 Belts or cables are driven by motors to provide movement along the x and y axis. This is a brushless, sychronous, DC motor found in everything from RC cars to electric automobiles. They provide precise movement from sprockets and belts to move the extruder, print bed and other parts on the printer. The heat sink keeps heat from traveling upward and melting the plastic prematurely. sink to prevent heat from creeping upward in the filament. The PTFE tube prevents heat from traveling up the extruder and melting filament prematurely. This heats up the plastic for extrusion. The heater cartridge is essentially a resistor. 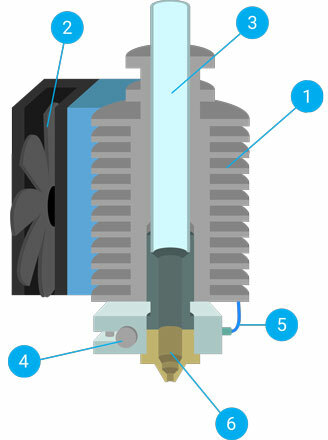 A thermisitor is the most common temperature sensor. It measures the temperature in the printer’s hot end. 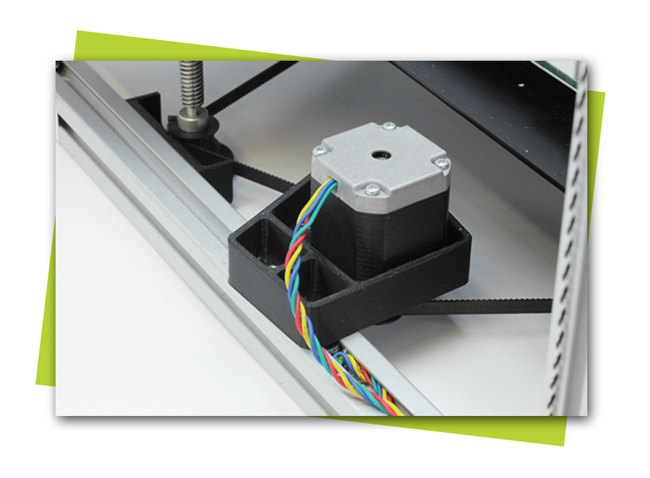 A thermocoupler works similarly, but can handle higher temperatures. These are usually ceramic or a polymer. A resistance temperature detector (RTD) also measures temperature in the hot end, but is metal. The hobbed gear (sometimes referred to as the filament drive gear) is the gear that moves the filament to the extruder. This is where objects are printed. 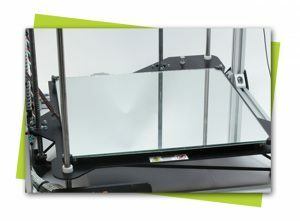 Heated beds are best to prevent warping when printing with ABS. Non-heated beds work best with PLA (which isn’t as susceptible to warping). Check out our guide for bed prep recommendations. 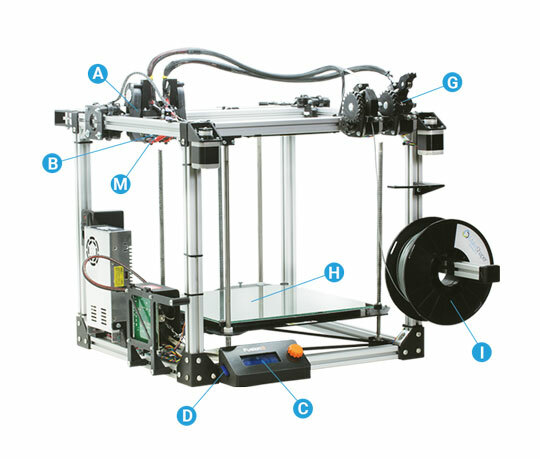 Filament is a strand of plastic polymer that is extruded by the printer. Filament typically comes in 1.75mm or 2.85mm diameters. 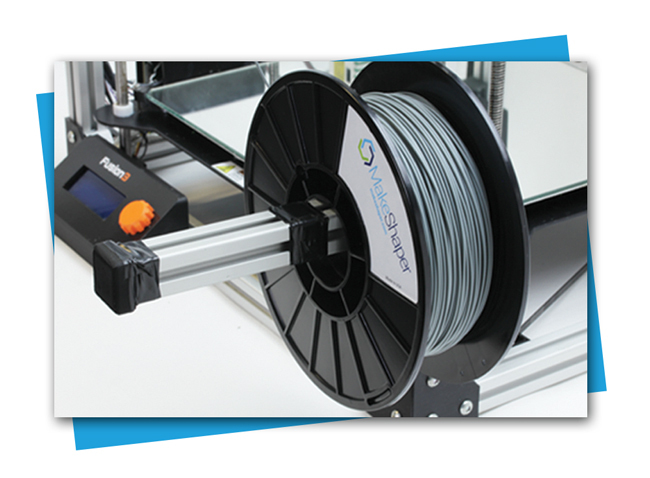 MakeShaper offers a wide range of filaments. 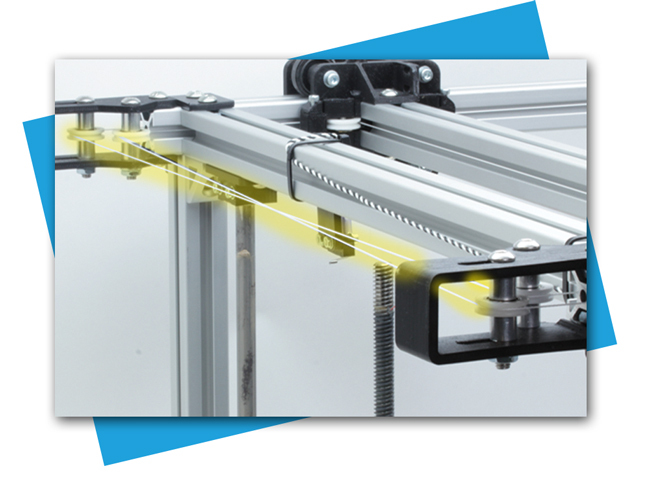 Leadscrews typically drive movement to the z axis by rotating back and forth. 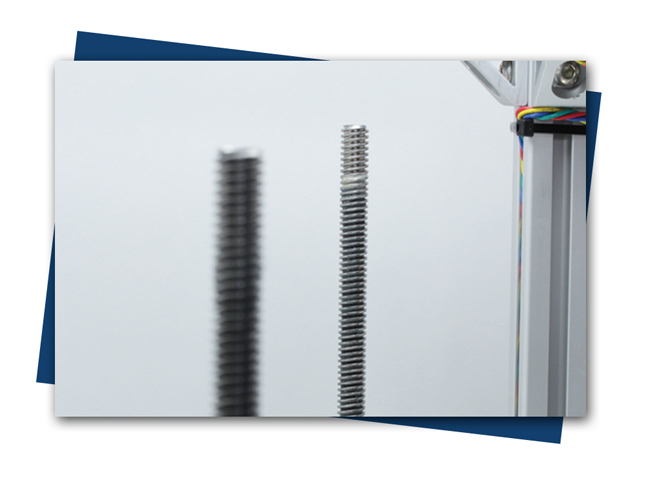 They are similar in fashion to threaded rods, but leadscrews are purpose-built to provide more accuracy with less chance of backlash or wobble. The power supply is an internal component that supplies power to the components within the printer. 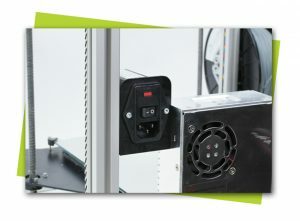 It works just like it does in any other electronic device, by converting AC (alternating current) from the outlet into steady, low voltage DC (direct current). This is the brains of the printer! 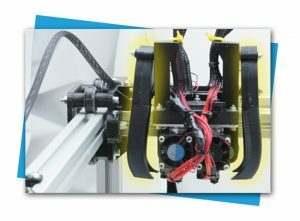 It contains the microprocessor and other circuitry that interacts with the other electrical components within the printer to orchestrate functions and interpret data.